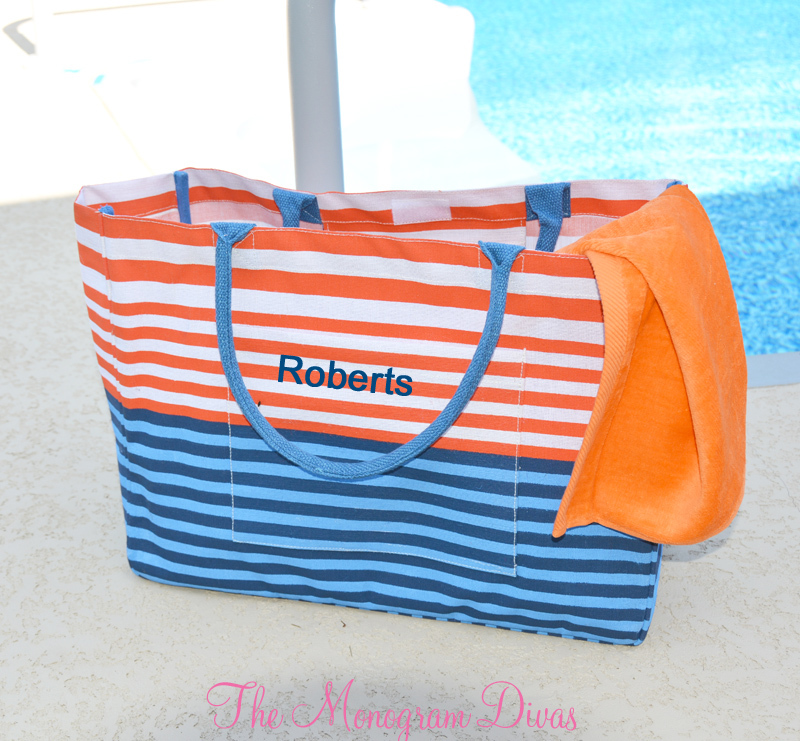 By now you know we L-O-V-E Monogrammed Tote Bags! No matter the style or color, we truly believe they make perfect gifts for basically any gift-giving occasion. Of course, during this time of the year, I personally prefer the cute, colorful ones! Especially the ones that can go from running errands, to poolside parties, to sunny beach trips. 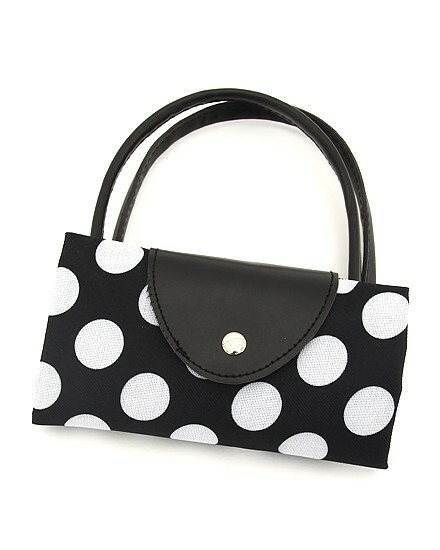 THIS bag, I'm totally in love with! It is perfect for the Spring and Summer months. 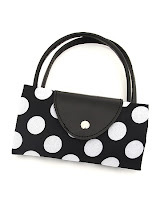 It is made by one of our favorite designers and it is super well made. The quality is second to none. And the price point? Ah-mazing! 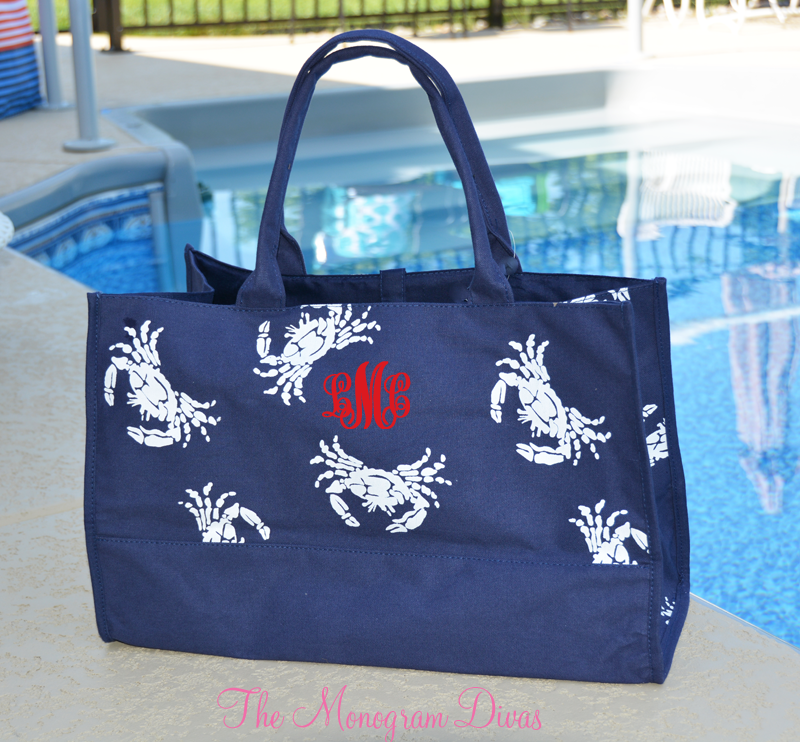 Can you believe this gorgeous Monogrammed Tote Bag can be yours for $27.95?? 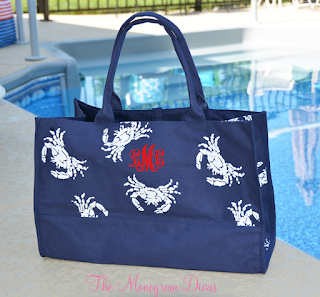 And it includes a FREE monogram!! Check it out here. Super cute with jeans and a tank top! 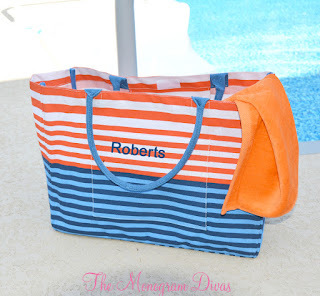 Add some nice wedges, a cute monogrammed beach hat and just be fabulous!! 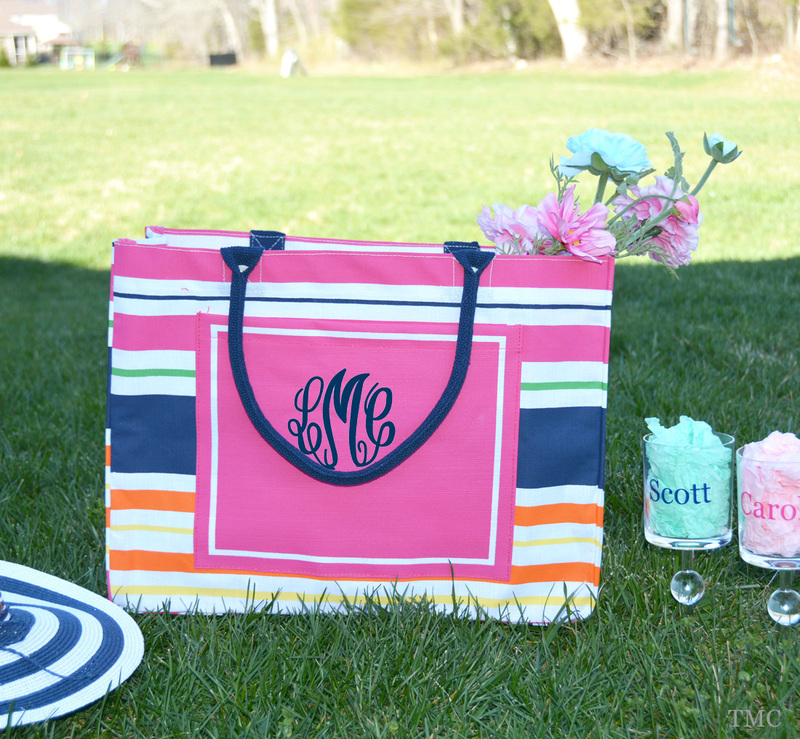 Perfect for a picnic with our fantastic Monogrammed Beach Wine Glasses!! 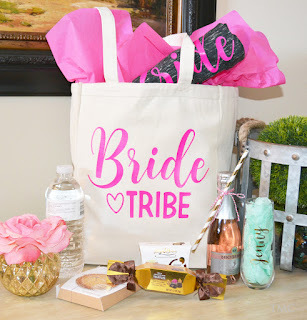 One of the comments we often hear from Brides-to-be is "what can I give my bridesmaids that is unique, practical and memorable. Let's face it, asking your favorite girls to be in your wedding is an important part of the process. You want to make it memorable and fun. 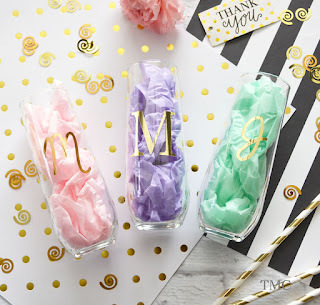 Bridesmaids gifts don't necessarily have to be extravagant, unless your budget allows it. Most girls want gifts that can be reused long after the big day is gone. So let's talk about the gift packaging! 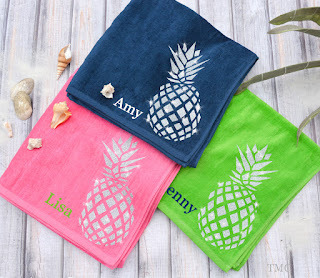 It can be a simple paper gift bag, a wooden box OR it can be a fabulous canvas tote which can be filled with a tank top, flip flops, a small bottle of champagne, etc. 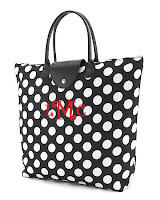 We think this one is super cute! 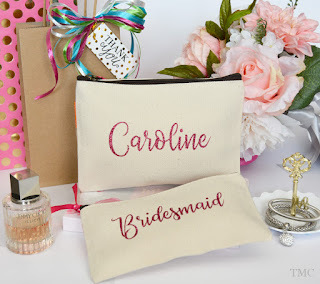 A personalized Bridesmaid Cosmetic Bag Set is always a great option. 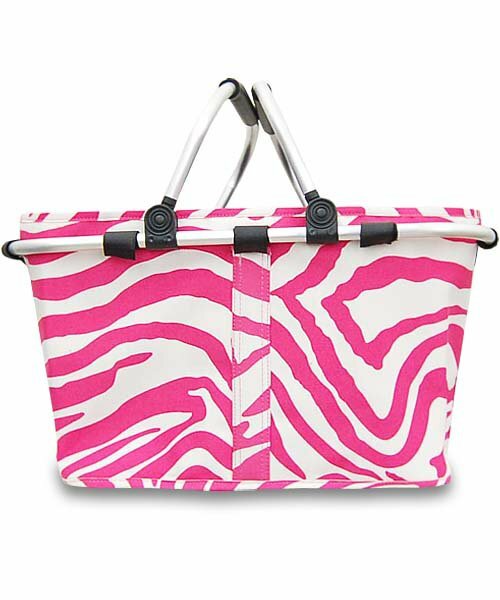 This set allows for bigger items to go in the large bag, which will come personalized with a name; smaller items, such as lip gloss, brushes, etc. can go in the smaller bag which comes with the title "Bridesmaid". Monogrammed Stemless Champagne Glasses are a must for your "Will You Be My Bridesmaid" proposal box! They will come in handy during the proposal, bridesmaid luncheons, bridal showers and of course, the big day! 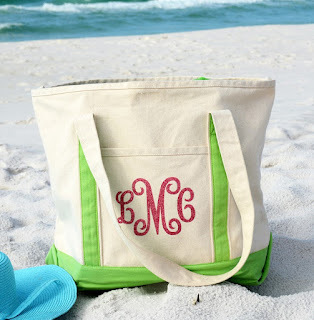 Heading to the beach for a destination wedding or a bachelorette weekend? 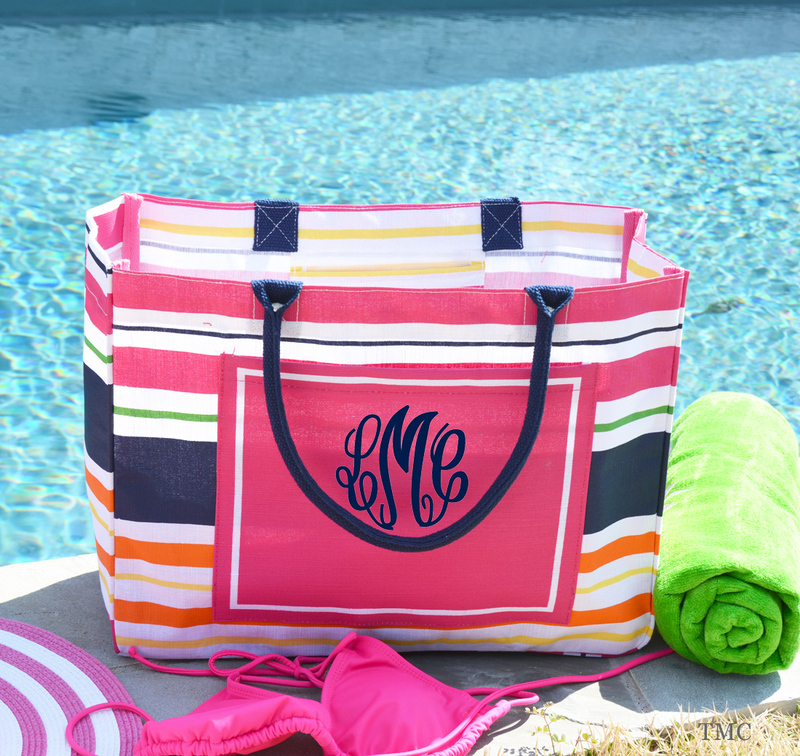 Nothing better than a monogrammed beach bag! They come in many sizes and colors. We personalize them in a range of fonts and thread colors. These are truly one of the most popular gifts we offer. 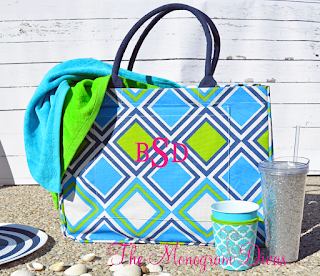 Check our website www.themonogramdivas.com for a larger selection of gifts for every taste and budget! Friday giveaway? 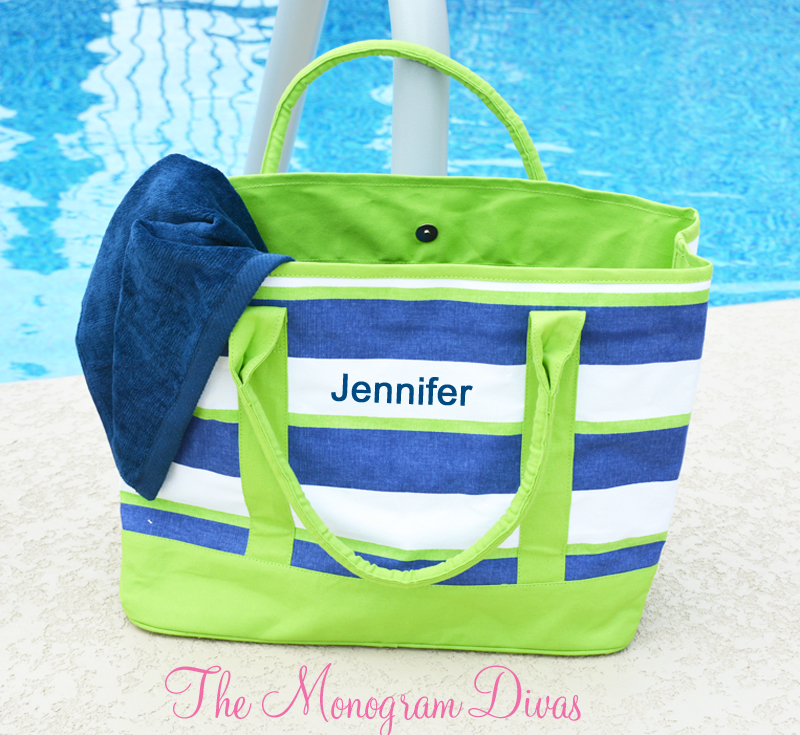 I know, it's only Thursday but The Monogram Divas will be closed tomorrow to take our kids on a much needed mini-vacation this weekend. Anyway.... We have a new giveaway on our Facebook page this week: one lucky girl will win on of our new Monogrammed Folding Tote Bags, personalized with her own name or monogram! So what ya waitin' for... hop on over to our fan page and leave us a comment. That's it! Oh, and don't forget to share with your friends... the winner could be you OR one of your friends! What A Girl Wants, A Girl Gets - New Monogrammed Gifts on a Budget! 1. Lot's of New Items: Absolutely! I'm all about bringing in new stuff every week. And we do have so many new items coming in; let's just say we're keeping our UPS and Fedex men quite busy these days! 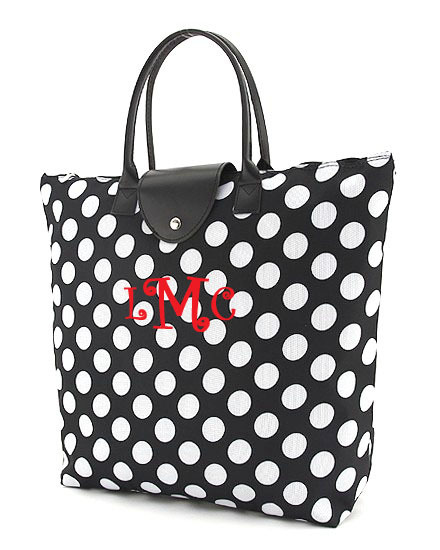 Check our website AND our Facebook page regularly as we will be posting our new Monogrammed Gifts weekly. 2. 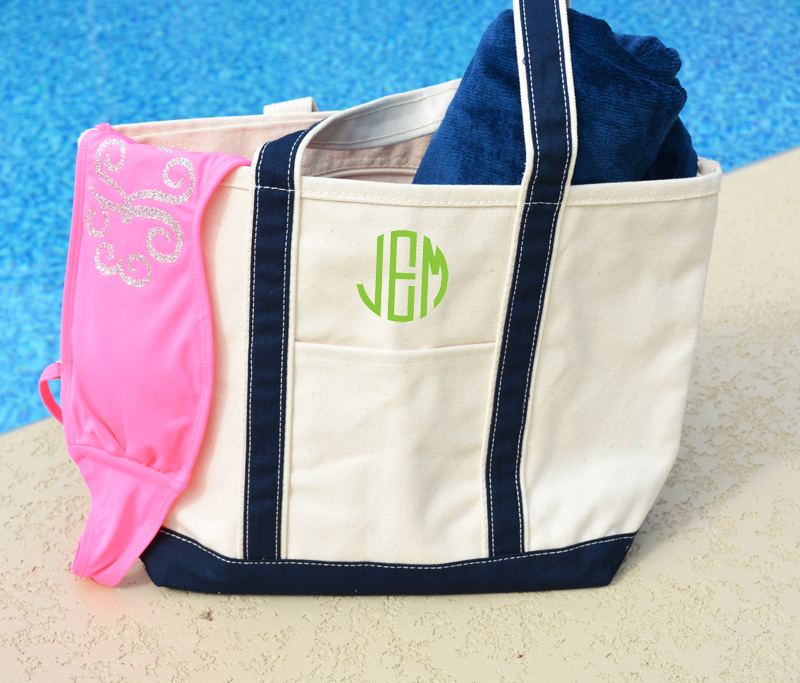 More Monogrammed Baby Gifts: You are so right! This is an area where we need to improve considerably. I have to be honest: because we do carry lots of Bridesmaid Gifts (and our Brides love us! ), we kind of "forgot" about our Baby Gifts department. That is about to change... we have added several new items and come January, we will have tons of new Monogrammed Gifts for Baby! 5. 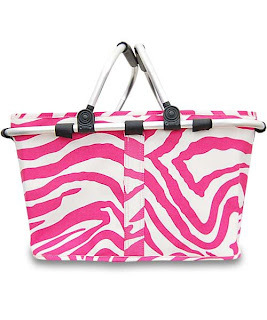 More Gifts Under $20: Wow! This is the one area where we have worked really hard, especially before we chose our Christmas Gifts for the store this year. Do you realize that over 50% of our monogrammed gifts are currently priced under $20?! We're all on a budget, right? But that doesn't change the fact that we all want to give a nice gift to everyone on our list! What you love about us: Our quality, our prices, coupons, deals and giveaways!!! OK, the only way to find out about all those is by being on our mailing list! If you are a current customer, you're already on our list. If you haven't shopped with us yet (why not???) hop on over to our Facebook page and click "like" then click "Join our List"! This was an awesome experience and we learned a lot from it. Our wants and needs are pretty basic for most of us: we all LOVE to give; this desire was placed within us since birth. We love to give cute gifts and love to see our friends' faces light up when they open them! We should all be able to purchase the perfect gift (monogrammed, of course!) at the right price. That has been our belief from day one and will continue to drive where we take our store in the future. 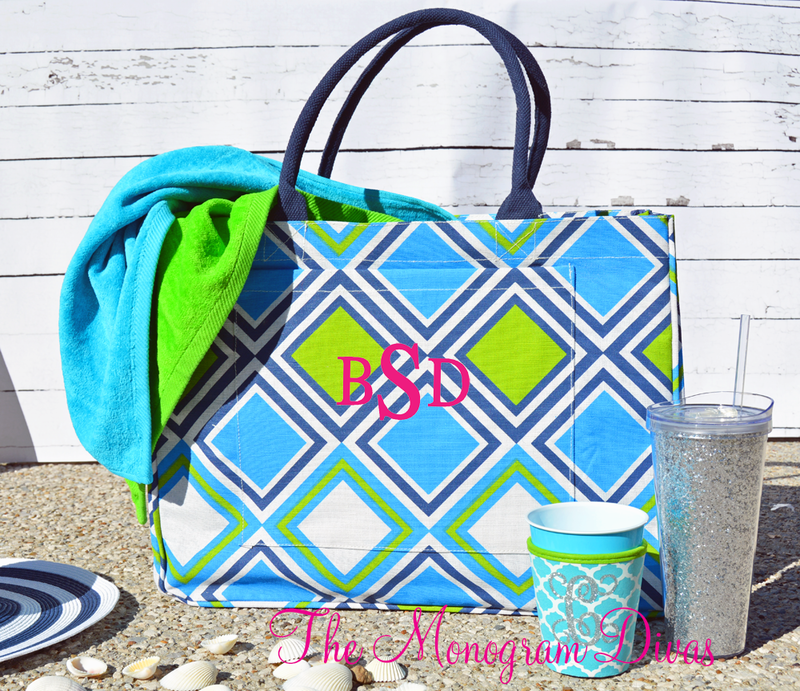 Winner of The Polka Dot Monogrammed Beach Towel Set! 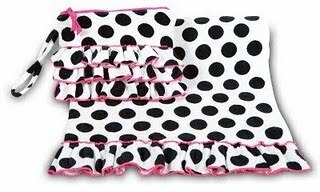 We are so happy to announce that the winner of the Polka Dot Monogrammed Beach Towel Set is.... Shel !!!!! 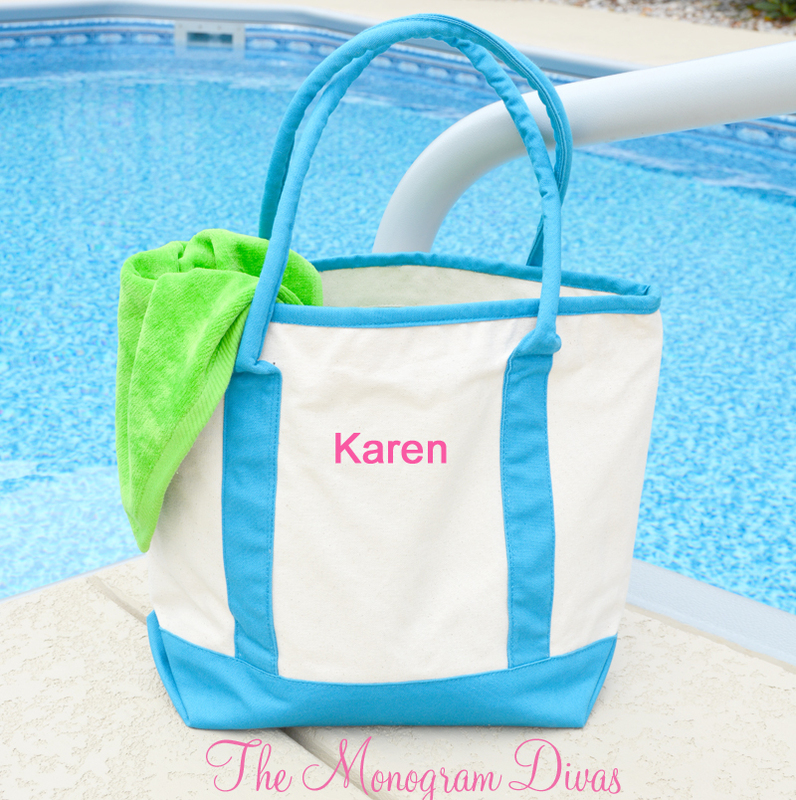 Please contact us via email: info@themonogramdivas.com to give us the monogramming info and your shipping address!!! Stay tuned ladies.... we have another very big giveaway coming up!!!! Hurry! 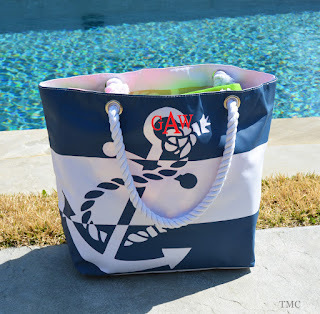 Two Fabulous Giveaways About To End! 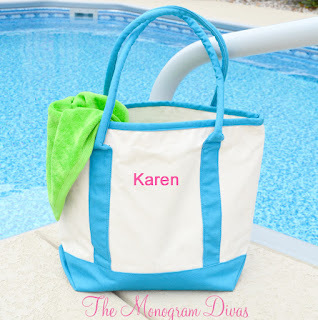 Don't forget, The Monogram Divas is YOUR source for cute and affordable Monogrammed Gifts!